1. They can tolerate dry, indoor conditions. Unlike many plants, succulents can tolerate conditions of low, relative humidity. They do not suffer the unpleasant side effects of dry air. This characteristic is especially important indoors, where air tends to be dryer, and in the winter months. 2. They don’t need much watering. You can shove your fingers into the soil two-knuckles deep, and they come out dry. The usually shiny leaves begin to wither. The leaves pucker or shrink. 3. They don’t require much fertilizing. Succulents tend to grow in the spring and summer and go dormant in the winter, with a sort of “rest period” in the fall. This cycle means they don’t need a lot of expensive fertilizers to remain vibrant. You can refrain from feeding your plant entirely during the winter, or at least go light on the plant food. You only need to fertilize succulent plants a total of three or four times during the warmer months of the year. 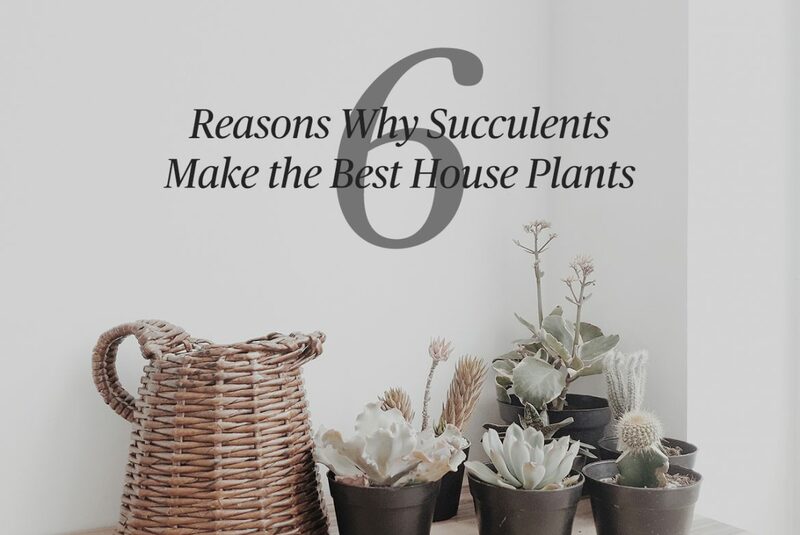 Because they don’t require a lot of feeding, you can use about half of the fertilizer you apply to a typical houseplant, which means you’ll save money. 4. They’re like living sculptures. People often think to decorate their houses with paintings, trinkets, candles, and small statues, but what about a living sculpture? The Italian poet Dante Alighieri once wrote that “Nature is the art of God.” If this is true, then succulents are Mother Nature’s sculptures. Their stark, distinct, and robust leaves and stems, along with their arresting foliage or trailing greenery, gives them the appearance of living works of art. 5. You can use them to make indoor gardens. 6. They’ll fit well in your home.